The Bengal stands out among cats for one main reason. It has a remarkable coat that is soft and dense and has distinctive leopard-like spots. They are a strong, athletic breed of cat who are still closely related to their wild cousins. Despite this, they are very friendly and inquisitive animals who make great house cats and loyal companions. One of the main things that you can do to keep your Bengal happy and healthy is to feed them the right food. If they are a house cat, they will need a limited daily intake of calories to maintain that sleek appearance. They also need a diet that is closely matched to the diet of a wild cat. They do not do well on commercial cat foods that are packed with cheap fillers and carbohydrates. This is a kitty that needs real meat and fish! 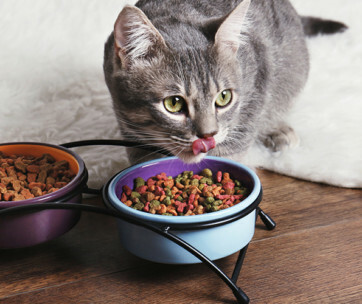 To help you out with your choice of the best cat food for Bengals, here is our guide. A wild recipe to suit your Bengal kitty and give them all the nutrients that their feral cat ancestry demands. The manufacturers of this best dry food for Bengal cats have used the diet of the Lynx as inspiration. Therefore, it has protein as the main nutrient (40 per cent) and this is provided by deboned chicken, chicken meal and turkey meal. Chicken is the one meat the Bengal’s love! The recipe also contains 18 per cent fat to give them plenty of energy. Bengals cannot digest large amounts of grain so the carbohydrate content of this food is made up by peas, potatoes and sweet potatoes which are easy to digest and will not trigger allergies. It is also soy-free which is another common feline allergen. There are no low-quality sources of protein like chicken or poultry by-product meals. You also don’t have to worry about artificial flavors or preservatives. There are 24 cans of Bengal cat food in this pack and you get a selection of turkey feast, chicken feast and beef feast. There is 9 per cent protein and 2 per cent fat to provide the building blocks for lean muscle and to provide energy. It’s made with real meat. There is plenty here to tempt the pickiest of eaters. There are small meaty bites served in a delicious, rich gravy. Because you have an assortment of flavors in each pack, your kitty will not get bored with the flavors. There are plenty of vitamins and minerals to keep your cat fit and healthy and keep their gorgeous coat shining. 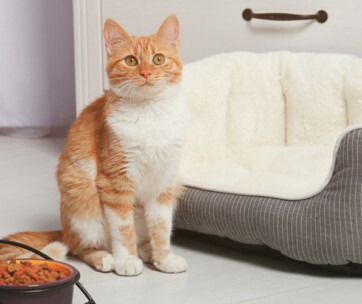 Made with the delicious chicken that Bengal’s crave, this dry food recipe has been carefully designed for cats that lead a mainly indoor lifestyle. It delivers 33.8 per cent protein and 19.3 per cent fat. The ingredients are all high quality including whole chicken and a healthy source of fiber which is dried beet pulp. The recipe does contain some corn and wheat gluten. The ingredients in this Bengal cat food are easy to digest which makes the litter tray easier for you to clean out. There are plenty of antioxidants and micro-nutrients to keep your cat healthy. There are no artificial additives for you to worry about. 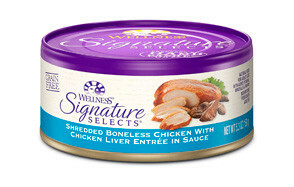 Made with boneless, skinless, white breast chicken, this wet cat food will be just what your Bengal needs. The meat is thinly shredded and served in a delicious gravy. It contains 10 per cent crude protein and 1.4 per cent fat and is will provide a complete and balanced diet for adult Bengal cats. There are plenty of added vitamins, minerals and antioxidants. The magnesium and phosphorus levels are carefully controlled and the moisture levels are high to support a healthy urinary tract. To retain loads of goodness, the ingredients are processed as little as possible. To protect your Bengal’s delicate digestion there are no grains or gluten in the recipe. It also contains no carrageenan, MSG or genetically modified ingredients. You also won’t find any soy or artificial additives. With turkey as the main ingredient, this dry cat food is formulated for cats with an indoor lifestyle. 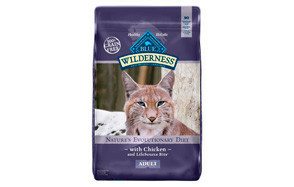 This means that is has been designed to help with weight management, hairballs and to support a healthy immune system. It comprises 38 per cent protein and 5.1 per cent fiber. Added to the turkey are wholesome grains and healthy vegetables including carrots and spinach. There are added vitamins and minerals to support overall health and omega oils to keep the skin and coat looking at their best. The crunchy bites are delicious and will attract even fussy eaters. This wet cat food is suitable for cats over one year of age. It can be used as effective method of increasing your cat’s moisture intake so that they can maintain hydration levels. It is made with high quality ingredients including white meat chicken and chicken liver. The meat portions are served in a delicious sauce so your kitty gets that texture and the flavor that most appeals to them. This food will suit cats with a delicate digestion and most cats with food allergies as it contains no grains or meat by-products. There are also no corn, wheat or soy and no artificial colors, flavors, or fillers. This recipe contains plenty of moisture, protein and fiber. The protein content is 29.5 per cent which is provided by duck, duck meal and pea protein. Because this is a limited ingredient recipe, it is suitable for cats that are on elimination diets or who have diagnosed allergies. As well as highly digestible sources of protein and carbohydrates, there are added micro-nutrients to support general health. You will find taurine for the heart and the eyes and fish oils and flaxseed for omega oils. These are great for the skin and the coat. 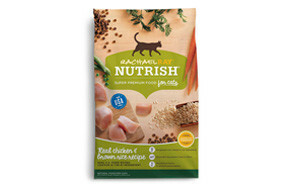 This is suitable for cats with a delicate digestions as it is grain-free. There are tender flakes of trout in this moist cat food that contains 9 per cent protein and 4 per cent fat. It’s also packed with antioxidants, vitamins and minerals. This recipe is suitable for cats with delicate digestions and allergies because it is totally grain-free and there will be no gluten in the content. There is also no poultry by-product meal or soy that could cause problems. You won’t find any soy or artificial flavors in the recipe either. It does contain carrageenan. There’s nothing but simple, natural ingredients in this dry cat food that will provide all the nutrients that your Bengal cat needs. The kibble size is small to suit delicate mouths but they are packed with flavor to tempt even fussy eaters. The main ingredient is whole chicken (no poultry by-products) and that provides most of the protein content. Added to this, there is brown rice which is easy to digest and provides Vitamin B as well as fiber. For weight management and hairballs there is more natural fiber provided by beet pulp which also provides prebiotics for intestinal health. A selection pack of premium pate wet cat food providing roast chicken, gourmet salmon and tender turkey flavors. This delicious cat food comes with a gravy to provide an irresistible meal for even the most discerning palates. The recipe is based on real meat and is packed with real protein as well as essential vitamins and minerals. There is no corn, wheat or soy. To make sure the food is always served fresh, it is supplied in sealed plastic containers so you just have to snap and serve. Bengal cats are a very athletic but graceful breed with a muscular body and a spotted coat that makes them look like a little Leopard. To maintain them in peak condition, they need a high-quality diet that will provide them with all the nutrients they need. 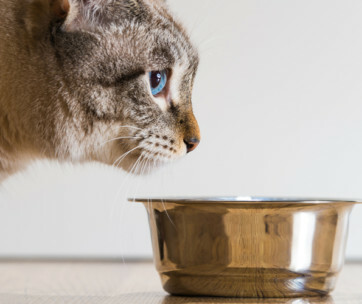 Here are the main characteristics of a reliable Bengal cat food. A high-quality protein source. This should be provided by real meat or fish. Bengals are big fans of chicken! A source of fiber. Beet pulp is a good option. This will provide a healthy source of natural fiber that will help with weight management and with controlling hair balls. As many Bengals are indoor cats, these are both common concerns. Balanced nutrition. 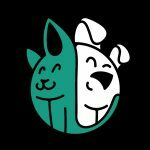 You need a food that provides a balanced diet for your cat and will support a healthy immune system as well as maintaining a healthy digestion. Coat health. The striking feature of a Bengal is their amazing coat. Omega oils will help to keep it in top condition. Natural ingredients. Bengals are closely related to wild cats and so a food that is as natural as possible will suit them best. This means a predominantly protein-based diet that has lo levels of carbohydrates. Wild cats do not eat grains and they can cause digestive issues in all cats. Free from. Many Bengal cats suffer from food allergies so it may be best to avoid common allergens such as corn, wheat or soy. Bengals cats have some specific nutritional needs. Owners who are concerned about what to feed Bengal cats should consult their vet or an experienced and reputable Bengal breeder. They still retain many characteristics from their feral ancestors and therefore need a diet that is as natural as possible. Here are some of the main things that the Bengal cat diet should include. Bengals are not as active as they would have been in the wild so you need to avoid feeding them any ingredients that would make them put on weight whilst delivering little in the way of nutritional benefit. Also, they can suffer from food allergies as can any other breed. 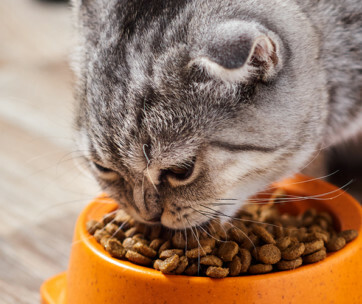 Here are some of the ingredients that you should avoid in commercial cat foods. These are just not close enough to a wild diet to suit the Bengal. They have been highly processed and rendered and are a cheap ingredient. In the wild, a Bengal would eat little in the way of carbohydrates. Unfortunately, they are widely used in cheaper cat foods because they cost so little. Look out for typical fillers such as corn, wheat and soy and avoid them. They offer little nutritional benefit to a cat and can trigger allergies. Again, it is best to match your cat’s diet closely to that of a wild cat so that means avoiding artificial additives. They add no nutritional value and can trigger digestive issues. Overall, Bengals are one of the healthier breeds of cats but as with all pedigrees, there is the potential for them to develop genetic health problems. You can avoid many of these by only dealing with a reputable breeder. Common Bengal genetic health problems include the following issues. Cataracts are not as common in cats as they are in dogs and tend to occur at a younger age. It’s a disease that causes the lens of the eye to become opaque (cloudy) so vision is impaired and eventually lost. You may notice a blue, gray or white layer on your cat’s eye, they may avoid leaping and jumping on things and they may seem clumsy. Surgical removal is possible in some cats. This is another eye disorder and whilst it is painless, it results in a total loss of sight which is obviously very debilitating. The blindness is progressive which means that it develops gradually over months or years. There is no treatment and it can affect kittens who are only 12 weeks old. Yet another genetic eye condition is Entropion which occurs when the eyelid folds inward and scrapes against the eyeball. This causes irritation and damage to the cornea which can eventually lead to ulceration and perforation. It is typically diagnosed at around two years of age and requires veterinary treatment. This heart condition occurs in all breeds but is common in Bengals. It is caused by a thickening of the inner muscle in the heart. As a result, the blood flow is interrupted and it can even be fatal in some cats. It can affect young kittens but there is no genetic test for it as yet. Responsible breeders will have their breeding stock tested for heart murmurs every year by echocardiogram. This is a neurological disorder which is hereditary and affects around one in ten Bengal cats. It can become apparent from as early as 12 months of age. Many owners notice it first as a general weakness in their cat and this may be accompanied by constipation and problems with wounds healing. Sadly, there is little that vets can do to treat it and paralysis and eventual death occur. As well as the hereditary diseases, there are some health issues that you should be aware of when you get a Bengal cat or kitten. When Bengals get anxious, they are prone to obsessive behaviors and that includes over-grooming. They do it because it helps them to calm down and feel more relaxed. However, when they over-do it, tufts of fur fall out and they can be left with bald patches. The inside of the thighs, the abdomen and the groin are common sites for the problem to occur. It needs to be investigated and treated by a vet. This is a viral infection of the intestines. You may first notice that your cat has a vague fever and lethargy and after a few days this can be followed by abdominal swelling and liver and kidney problems. Your vet needs to provide treatment. This is the common term for a skin condition that can affect any breed but that is common in Bengals. The cause is not entirely understood but it is thought to be allergy-related. You should talk to your vet about how you can identify substances that your cat may be allergic to. A: The Bengal is a beautiful and intelligent cat. It originated in the USA but is a relatively new breed. It is essentially a cross between the Asian Leopard Cat and the domestic cat. They were accepted as a new breed in The International Cat Association in 1986. Having gained championship status in 1991, they are now one of the most frequently exhibited breeds internationally. Bengal cats are affectionate, energetic and playful and make excellent human companions. Whilst they are very affectionate to their owners, there are some reports that they can be very territorial when they are outside the house and this can lead to frequent cat fights. Some owners prefer their Bengals to lead an indoor lifestyle. In terms of appearance, there is no mistaking this kitty’s wild cat ancestry. The most common coat pattern is a brown spotted or rosetted tabby which makes them look like a small Leopard. One of the most remarkable features of the Bengal is its affinity for water. Some have even been known to leap into the shower with their owners! Q: How often should I feed my Bengal cat? A: Bengal cats are a lean, athletic breed and to maintain their slim build you will have to watch their total calorie intake. This is especially important if your Bengal cat has an indoor lifestyle and is not burning up that many calories. 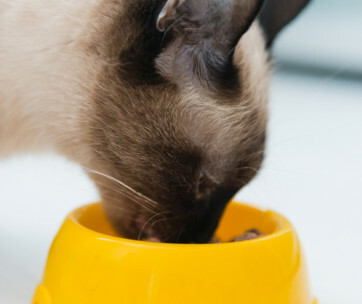 Check with your vet to find out what the total daily calorie intake should be for your cat. Bengal kitten food may be different to what you would feed an adult cat and it is important that you get it right. This will be based on their age and lifestyle. Then you can divide this up throughput the day. 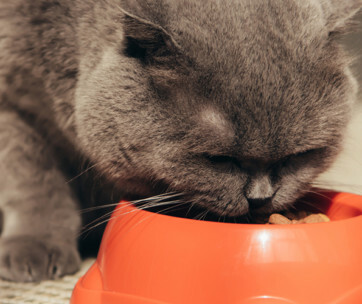 Two meals a day suits cats if you are feeding them wet food. This cannot be left in their bowl for long periods as it will attract flies and vermin and will taste unpalatable. Free-feeding is not a good idea as it could lead to weight gain and obesity. Q: How much should I feed my Bengal cat? A: This will depend on your cat’s age and lifestyle and your vet is best placed to advise you. Always look at the total calories in commercial cat food and feed your cat appropriate amounts. Typical feeding recommendations for dry cat food for a 10 to 14 pound cat would be ¾ of a cup a day. Bengal cats are natural hunters and love meat. In the wild, they would catch and eat small mammals that would supply them with all the nutrients they need. Commercial cat foods that are high in protein and fiber will keep your cat feeling satisfied for longer. Our top pick of the best food for Bengals is a recipe that is closely matched to that of the wild cat so it will suit their feral cat ancestry. It is a dry food based on the diet of the Lynx. It is packed with high quality protein (40 per cent) obtained from chicken and turkey. The carbohydrate content is easy to digest (peas, potatoes and sweet potatoes) and will not trigger any allergies. It is also soy-free and there are no artificial flavors or preservatives to worry about.